The BBC is conducting another round of Medium Wave switch-off trials on six of its BBC Local Radio stations in England, as the broadcaster looks to make savings, focusing on areas where BBC Local Radio is widely available on FM and DAB digital radio. The BBC first trialled Medium Wave closures in 2012. From 17th November through to 1st December 2014, a recorded announcement will be played out on BBC Radio Lancashire's 1557 kHz frequency, BBC Surrey's 1368 kHz frequency and BBC Sussex's service on 1161 & 1485 kHz. These stations will continue as normal on FM, DAB digital radio and online. Then from 1st December through to 5th December, the affected transmitters will be switched off. A week later, a second phase starts. BBC Radio Humberside, Wiltshire and Devon will see Medium Wave services switch to a recorded announcement on 24th November 2014. BBC Humberside and BBC Radio Wiltshire will lose all Medium Wave presence, while only BBC Radio Devon's Torbay Medium Wave service on 1458 kHz is affected. Normal service continues on FM, DAB digital radio and online. From the 8th to the 12th December, these Medium Wave services will be taken off air altogether. 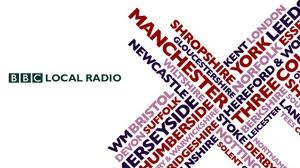 Back in 2012, the BBC experimented with the withdrawal of the Medium Waves services of local stations including BBC Radio Nottingham, BBC Radio Merseyside and BBC Radio Kent. The switch-off of BBC Radio Merseyside's Medium Wave signal provoked the strongest backlash from listeners, while there were a far lower response from listeners of BBC Radio Nottingham and Kent, which resulted in an extension of the switch-off trial. The BBC hopes that most listeners will continue listening to their local station on FM or DAB.